I am reminded of the incredible and thought provoking adage of “as above so below” by this image of an amazing instrumental composer, Alex Shapiro. 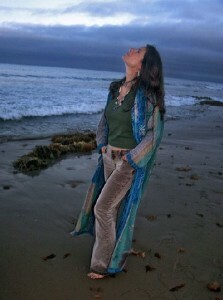 Whether searching the heavens in anticipation of receiving that single note of inspiration or being well grounded in a barefoot Mother Earth reality, Ms. Shapiro is the type of composer who translates this special communion through the creation of her polyphonic electro-acoustic music. In a recent post of mine about music history and the related composers in different time periods, I elected to include Alex Shapiro as a living composer of the modern era for many reasons. There is a lot to say about her and about the complete focus of her work just as there is a lot to say about those I had compared her to. It is difficult to pin down her music into one well defined music genre or her use of one focused group of instruments, whether they are acoustic and/or electronic in nature. One thing is for certain her music is firmly and uniquely hers. From classical acoustic and orchestral compositions to the adventurous and ground breaking electro-acoustic work she produces, Alex is expanding the envelope of musical creativity and raising the bar for independent composers. Throughout her music is an under layer of communication that springs from nature itself. It shows up in the cries of a whale in her composition “Below” featuring the flute and recordings of this amazing creature. 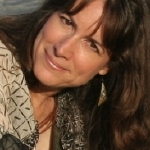 It shows up in her blog, Notes from the Kelp, and in her photography in what appears to be a unique form of a photo-journalistic and audio-journalistic tale of her experience with Mother Nature. 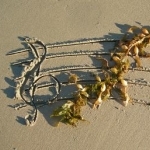 What is not so surprising to learn then is how she has made a special union between herself and Mother Nature expressed creatively through her music. Nature, is her creative partner, if you will, and one of her inspirational guides, reminding us once again that “as above so below”. This is profound insofar as the statement clearly demonstrates the passion in her and what she strives to produce and reflect to us through her sonic expressions. As her statement above attests, her music is an outward reflection of her inner self. As she continues to accept nature’s inspiration and maintains her special conversation with it all of us will be the benefactors of her future creations. I believe her best is yet to come and I cannot wait to hear her greatest symphony! It is her music that is pure, it is genuine and it is Alex! The video below is an example of what I am talking about. Ms. Alex Shapiro and Simon Kenevan have collaborated to produce this video. Simon is a pastel painter exquisite in his use of light and color. This video is of Simon creating the painting titled “After a Storm”. To learn more about his work you can also visit him on his website and through the Martin Gallery. To make it on my list of significant composers one of the requirements is one’s involvement and impact of social significance. In order to reach to a wide audience it is necessary to utilize all of the available resources to gain as much exposure as possible. In this regard, Alex has wisely explored the use of the internet as a means of communicating herself and for gaining the broad exposure needed to help others along their life’s journey. The use of the internet is something relatively new and used by some of the composers on my list and completely unavailable to most. 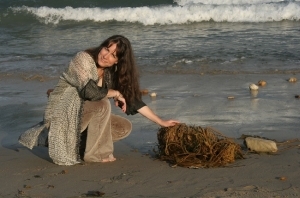 Alex has developed her web site into an extensive offering demonstrating her uniqueness by documenting her own trek through the kelp. Yes, there were times in our technological growth where new avenues became available to broaden and to speed to market information about a composer’s life and his or her music. New media such as the radio, newspapers, even TV provided an increase in the capability of gaining an increased level of exposure, but no media has been as instantaneous, so expansive and as readily usable as a tool for promotion as the World Wide Web. Alex has been exceptional in her use of the internet to broaden her audience. As a result of this effort Ms. Alex Shapiro’s music has been performed all over the world. I wonder what Mozart would have to say about that. Aside from being a music creator and a compositional advocate, as if that wasn’t enough, Alex has ventured into combining political and social advocacy and she has made commentaries on a wide variety of applicable musical topics. In particular is her advocacy for female composers. Her work with and her support for other female composers is providing an incredible model for those seeking to become great and for gaining exposure for their own work. These actions demonstrate her musical knowledge and her heart in understanding that life is about all of us and helping each other is a necessary part of our humanity. In regards to what I consider to be an excellent contribution to the performing arts is her skill and artistry in combining acoustic live instruments with the amazing sounds she produces using electronic samples. I think her work is pioneering in nature and for those who have not experienced this type of music I believe you will be amazed at what Alex Shapiro has created. Yes, my reasons for including Ms. Alex Shapiro on my list of historically significant composers are partly about excellent musical output but it is much more than that. She has been a contributor, a pioneer and a highly active collaborator with other artists and performers where her compositions are featured on over twenty albums by a variety of artists. The music provides wonderful examples of her unique insights into sound and musical creativity. Alex is currently working on her new album titled “Alextronica” which is planned to be released under the Innova Recordings label. I am honored to be able to write this article and mini presentation of and about Alex Shapiro. She has made it easy to learn about her music and about herself through her web presence. Certainly, you will gain a lot by visiting Alex’s website and by reading her blog entries as they are extensive, informative and inspirational. Her unique and fabulous perspective will awaken you to understand more about music composition and the persons who are known as composers. We are an eclectic breed of creators and Alex is a leader among us. After all, it comes down to the music and hers is awesome! All quotations videos and descriptive materials used in this article have been approved for use by written permission from Alex Shapiro and Simon Kenevan. We would also like to thank YouTube for hosting the wonderful videos included here. We were unable to reach Marco Mazzini in time for release of this article. Consequently our use of the video provided herein is pending removal if necessary but will remain until we gain the proper permissions from him. Further, the video is part of the YouTube collection and the YouTube agreement for embedding videos is applicable here.